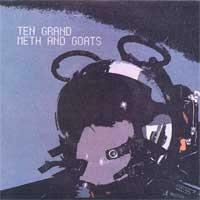 The final release from Ten Grand finally sees the light of day. One unreleased Ten Grand jam and two unreleased Meth And Goats songs. First pressing (February 2004): 100 on green vinyl, 900 on black vinyl. Pressed at United Record Pressing.